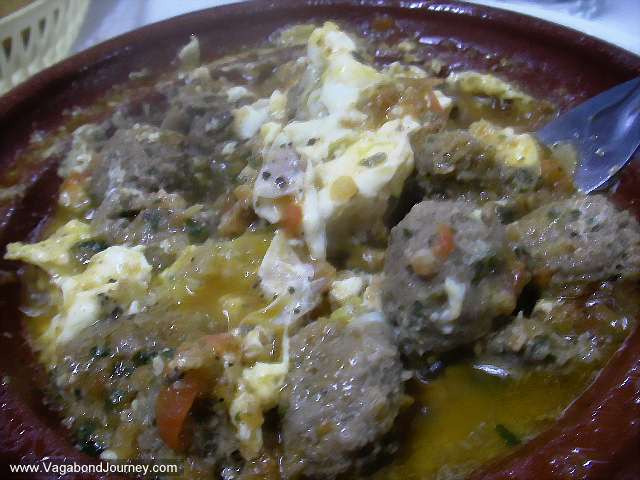 Moroccan food - beef tagine. Well, at least I was told it was beef. 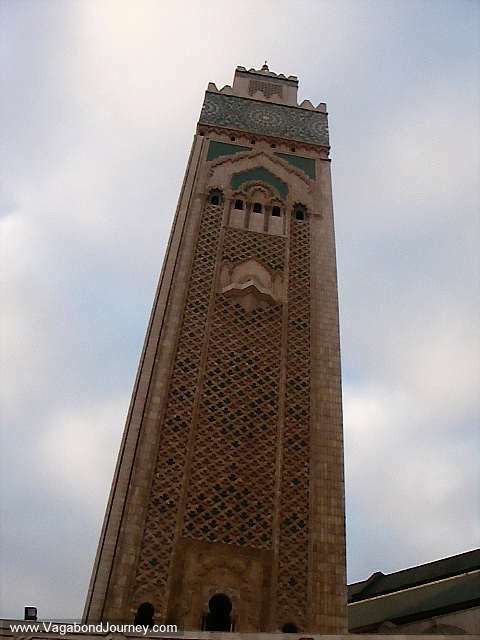 Women clothes in Morocco. 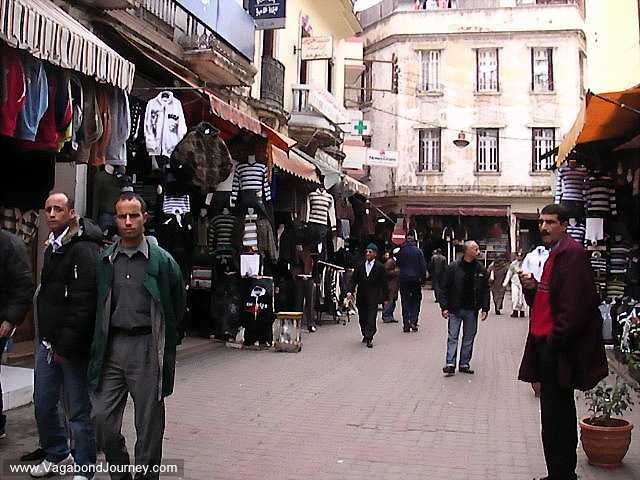 Lady walking in the big square of Marrakech in typical Moroccan clothing. 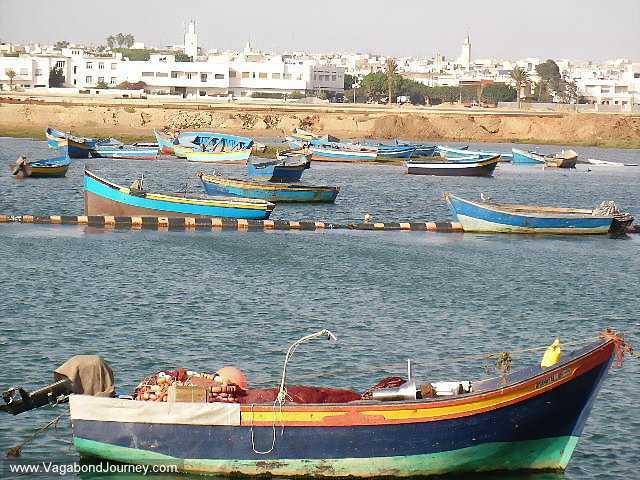 Boats in the Bou Regreg between Rabat and Sale, Morocco. 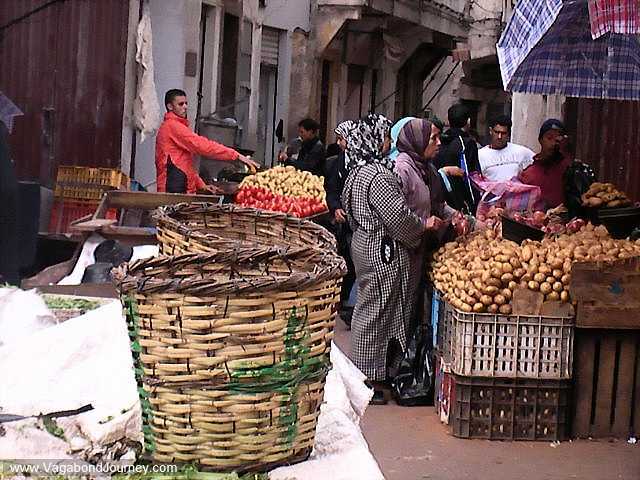 Moroccan men looking at me like I am funny looking. Maybe I am. 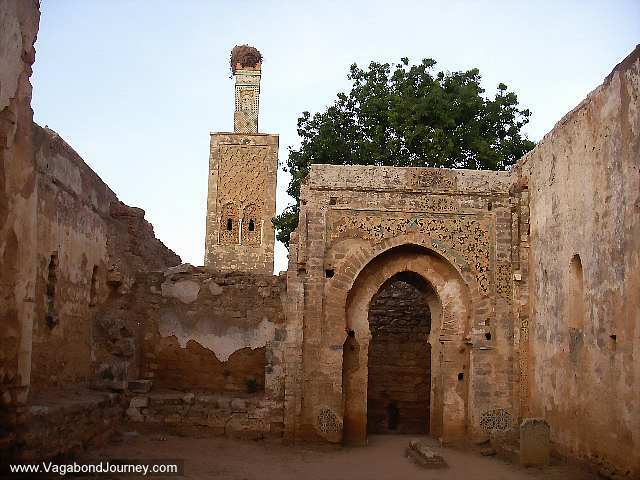 Chellah Ruins near Rabat, Morocco. 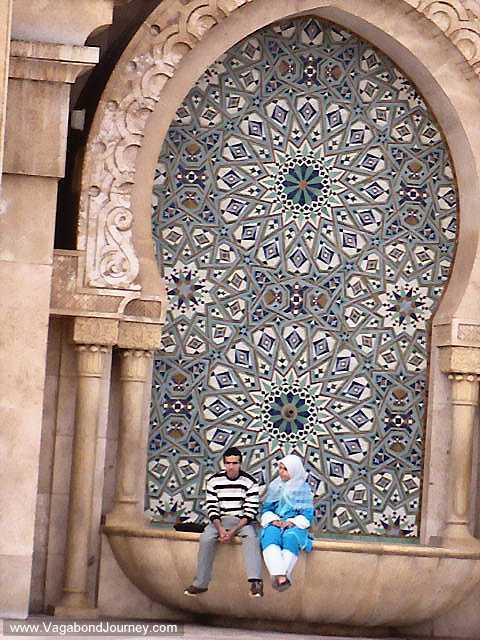 Moroccan people sitting in a fountain of the Hassan II Mosque. 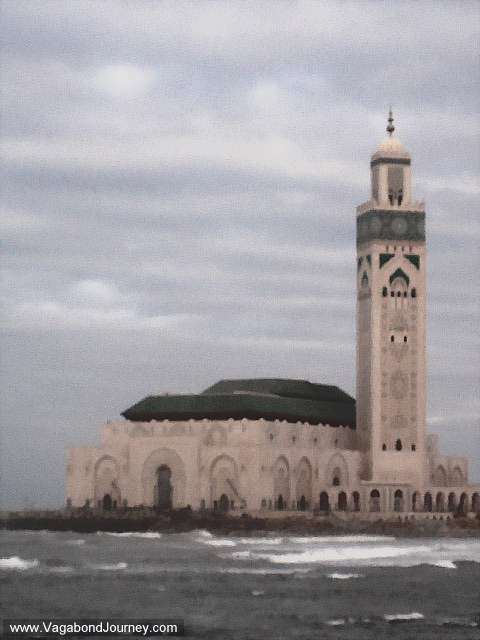 The towering minaret of the Hassan II Mosque of Casablanca, Morocco.